Let’s face it, Motherhood can be stressful! Help your favorite Mom relax on her special day with a bottle of her wine of choice presented in a personalized, keepsake wooden box. 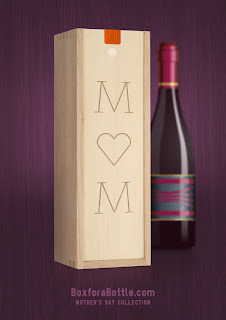 Customized wooden wine boxes from Box for a Bottle are a unique, sophisticated way to tell Mom Happy Mother’s Day. Choose from four designs created just for Moms. The inside lid of the box can also include a personalized engraved message. The boxes are made in America and for each box ordered, Box for a Bottle gives back to the Earth by planting a tree. I received the WORLD'S GREATEST MOM box for my Mom for Mother's Day. Show Mom she is simply the best with this vintage design. You can even customize the year she became the greatest. 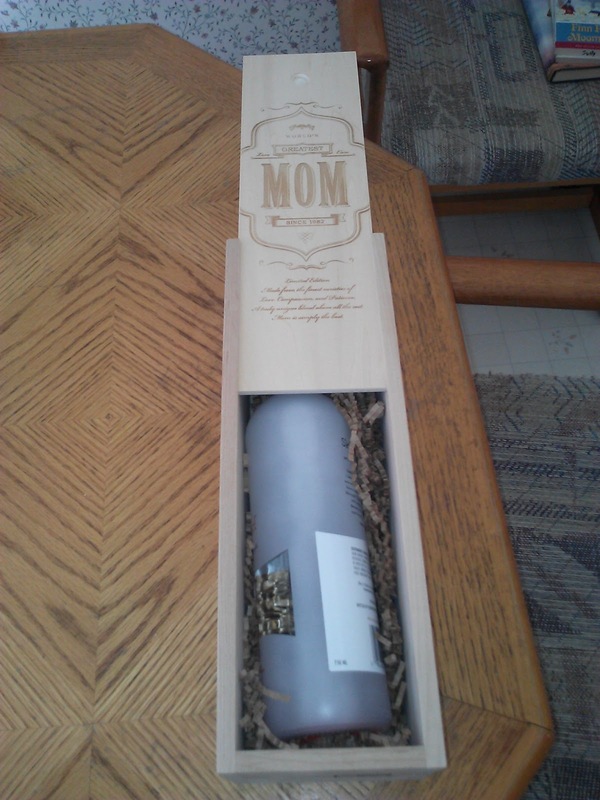 Be sure to add her favorite bottle and a custom message inside. I absolutely LOVE that the message on the front and that you can customize the year! The box is really sturdy and looks really well-made and vintage! 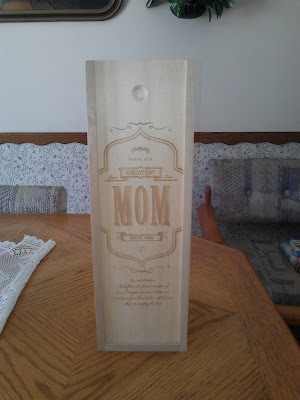 It fits many different size bottles of wine and I know my mom will love this...especially with a great bottle of wine inside! 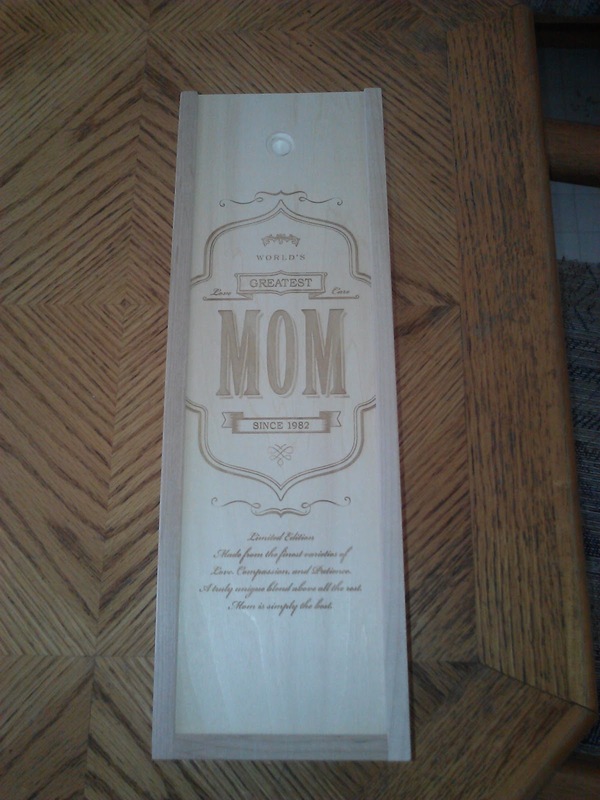 I love to give unique gifts for Mother's Day because she has seven other children and she tends to get the same old, same old! This year, my gift will stand out and I LOVE it! If you are searching and searching for the perfect but unique gift idea for your Mom, you really got to check out these Box for a Bottle gifts. They are perfect for the wine lovin' Mom who needs to relax on her special day! 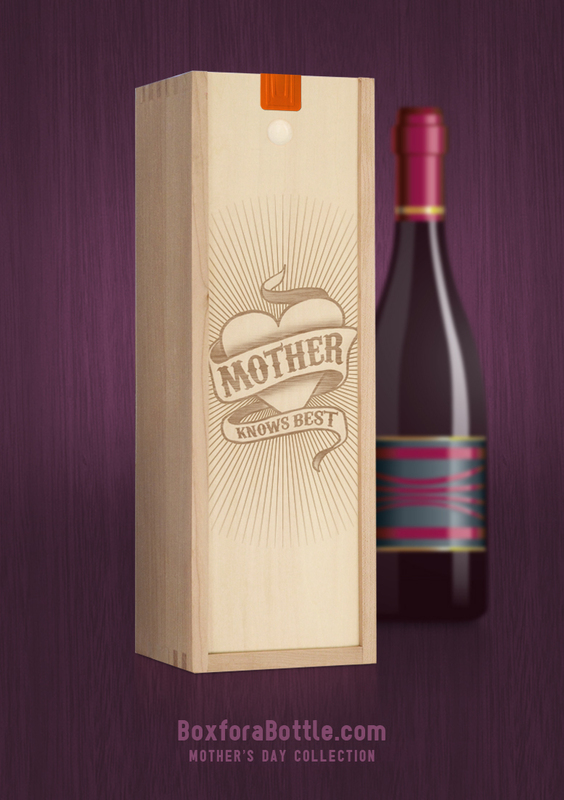 Buy It: You can purchase the World's Greatest Mom Box for a Bottle for $49 (others start at $39) from the Box for a Bottle's website.